Unwavering faith is what you need to attract greatness into your life. If you went online and ordered a package from a reliable company to be delivered to your home, you would expect it to come and forget about it. Your faith in the company that you placed your order in is unwavering and you don’t worry and keep checking your order. The same holds true with the universe. Pretend that when you set an intention of what you want that it is a reliable company that has ALWAYS delivered to you what you have ordered. 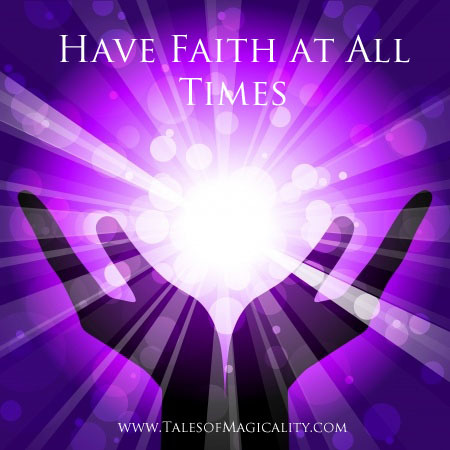 Have complete faith at all times that the universe is doing it’s job and working FOR YOU, not against you. Rayna, I love this Magicality Moment! What a great analogy!! It really put it all in a new perspective for me and I will definitely consider the Universe a company I “order” from often with 100% satisfaction rate!